When it comes to your complex prosthodontic, periodontal and implant surgery needs, we choose to provide you with optimal care from a registered prosthodontist and periodontist. Prosthodontics is the field of dentistry that focuses on the restoration of teeth that require crowns, veneers, bridges, implants, dentures or any combination of these. The term prosthodontics means, literally, “tooth replacement”. Our prosthodontists are experienced in a range of procedures, from single tooth management through to full arch rehabilitations and Teeth in 3 days™. 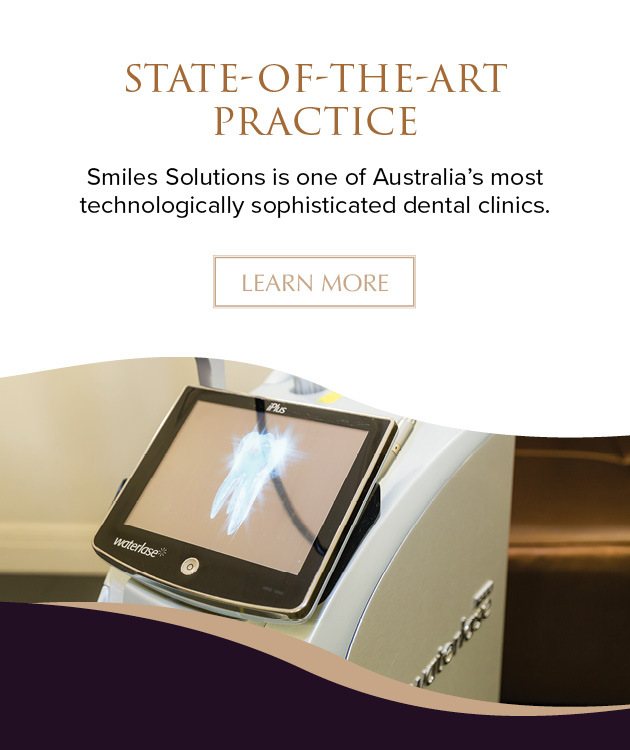 At Smile Solutions our registered specialist prosthodontists Dr Jamie Fong and Dr Robert Ormerod work in conjunction with our specialist oral and maxillofacial surgeons Dr Patrishia Bordbar and Dr Ricky Kumar and our specialist periodontists Dr James van den Berg, Dr Nima Bazrafshan, and Dr Constantine Ong who have vast experience with immediate implants, to comprehensively cater for all your complex crown, bridge, complete arch rehabilitation and implant requirements. Dr Jamie Foong is a specialist prosthodontist. 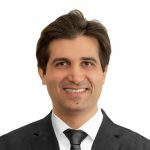 He undertook his undergraduate dental course at the University of Melbourne and then worked as a general practitioner at Brisbane Prosthodontic and in general practice for several years. He returned to Melbourne and completed a three-year specialist degree in Prosthodontics. 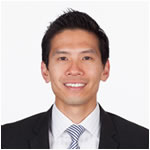 Dr Foong is a visiting lecturer and clinical supervisor at the University of Melbourne Dental School. He can provide all aspects of prosthodontic care, including crown and bridge, occlusal rehabilitation, porcelain veneers and dental implants. 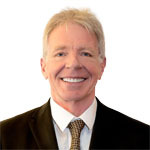 Dr Robert Ormerod is a specialist prosthodontist who has been in private practice since 1991. Extremely passionate about excellence in dentistry, Robert is an active member of a number of local and international societies, academies and associations and lectured at his alma mater for several years. As a specialist in cosmetic dental reconstructions, he has extensive experience in treating some of the most difficult cases. Depending on the specific needs of his patients, Robert utilises ceramic veneers, tooth-coloured restorations, dental implants, crowns, bridges and dentures to achieve the desired results. Dr Vahed Parzham obtained his Doctorate of Clinical Dentistry in Prosthodontics at the University of Melbourne. His research project for this degree was presented at the Academy of Australian and New Zealand Prosthodontists in Sydney in 2016 and published in the renowned International Journal of Prosthodontics. Dr Parzham is a member of the International Team for Implantology, the Australian Prosthodontic Society, and the Academy of Australian and New Zealand Prosthodontists. 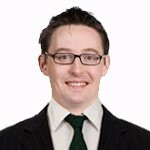 He is actively involved in lecturing and clinical teaching at the University of Melbourne. Mr Brent Smart is a highly skilled advanced dental prosthetist. His role at Smile Solutions involves the fabrication and fitting of all removable appliances, including complete and partial dentures in the materials of your choice. 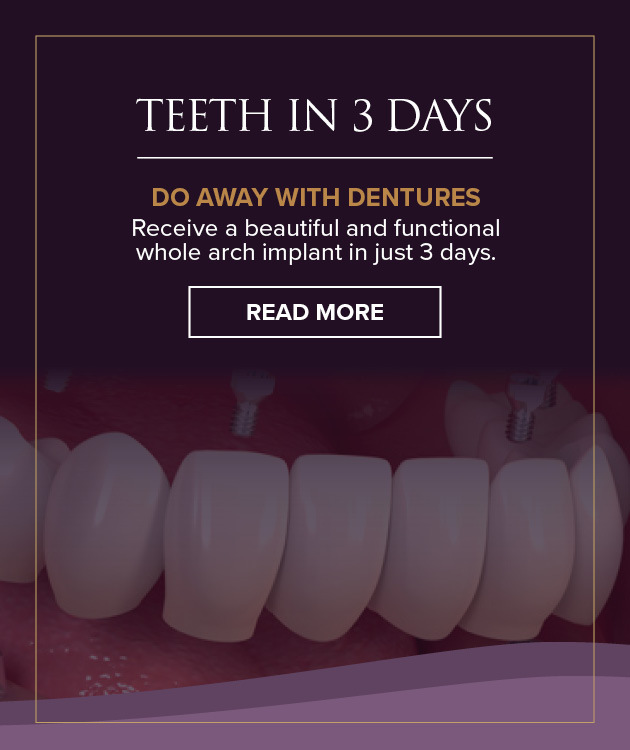 Brent is also an integral part of the Teeth in 3 Days team offering eligible patients a fixed implant bridge alternative to removable dentures. 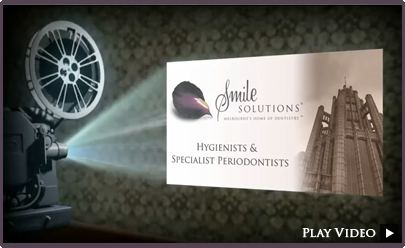 Prevention is a primary focus of the Smile Solutions practice. Our team of dental hygienists are essential to making this possible. Dental hygiene begins with an assessment and evaluation of your periodontal (gum) tissue by a gum specialist. An ideal home dental care routine is then designed for you. To enhance your home care, assistance is provided in the surgery, involving removal of plaque, calculus (tartar), general staining and the application of decay-preventing agents as required. If you are undergoing dental restorative or cosmetic treatment, a revised home care routine will be designed for you and monitored as the treatment progresses, so as to achieve the best possible outcome. Regular hygiene appointments with a gum specialist, along with optimum home care, ensure ongoing maintenance of your teeth and gums. *These images feature patients of Smile Solutions. They are simply an educational guide and by no means represent a guarantee of outcome. If you require additional advanced periodontal treatment, we offer the services of our registered specialist periodontists (gum specialists) Dr James van den Berg, Dr Nima Bazrafshan and Dr Constantine Ong. Periodontics is the field of dentistry that that focuses on implant surgery, bone grafts, periodontal surgery, gum lifts, and treatment of gingivitis and periodontal disease (gum disease). Conventional dental implantation is the process of replacing missing teeth or teeth that cannot be saved by conventional means. Implants range from single-tooth replacement to a complete upper and lower arch replacement. Bone grafting, or bone “augmentation”, involves the insertion of synthetic filler bone to encourage growth of the natural bone around it. A cosmetic lifting of the gum line of the front six teeth, known as a gum lift, is today carried out quickly and effectively using laser. This procedure is virtually painless, does not require stitches and produces relatively quick healing. 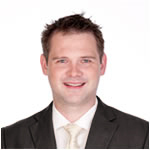 Dr James van den Berg has practised in the fields of periodontal care and implant dentistry since completing his postgraduate education in 1999. He has also lectured in these fields and maintains an interest in the use of laser to complement traditional therapies. In 2012 he obtained a further Postgraduate Diploma in Clinical Dentistry from the University of Melbourne and he is now registered in Australia as a specialist periodontist. 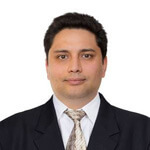 Dr Nima Bazrafshan graduated as a Doctor of Dental Science in 2002. For the following six years, Dr Bazrafshan explored different fields of dentistry and found periodontics both attractive and challenging. He received an offer to join the prestigious periodontics specialist training program at the University of Melbourne in 2008 and graduated from that university as a Doctor of Clinical Dentistry in 2012. Since then he has been working in private practice and also maintaining his teaching role as a clinical tutor for undergraduate dental and hygiene students at the University of Melbourne and Latrobe University. 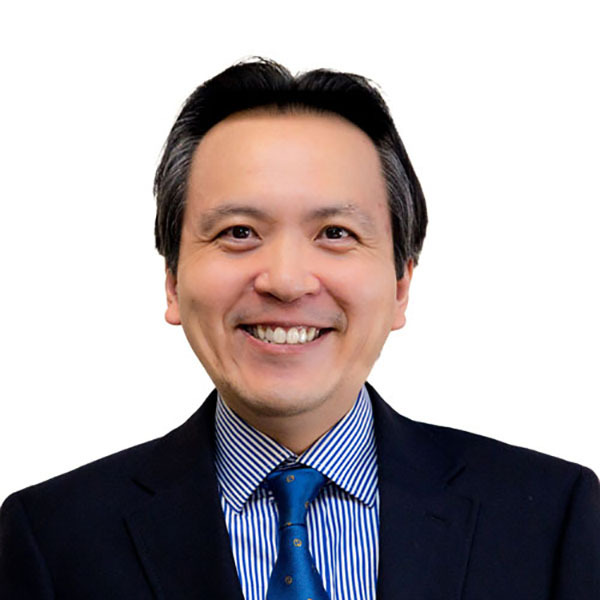 Dr Constantine Ong has been practising as a specialist in periodontics and implant dentistry for more than ten years. After several years spent working in hospitals and general practice, he underwent specialist training in periodontics and implant dentistry at the renowned Eastman Dental Institute, University College London where he was awarded a Master of Clinical Dentistry with Distinction and a specialty membership of the Royal College of Surgeons, England. Dr Ong has also lectured nationally and internationally, and published numerous articles in peer-reviewed journals.